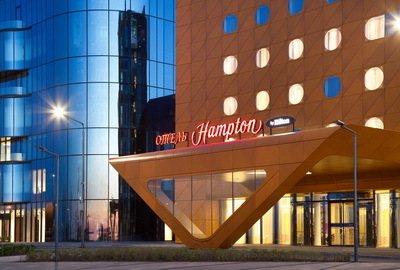 Strictly speaking, only two hotels at St. Petersburg Pulkovo airport can be called a true «airport hotel» as such — Park Inn by Radisson Pulkovo which is just a few meters from the Pulkovo terminal and the Aerosleep capsule hotel inside the terminal. There are a few more hotels in the area nearby that are also good for a overnight stay and quick transfer to and from Pulkovo. 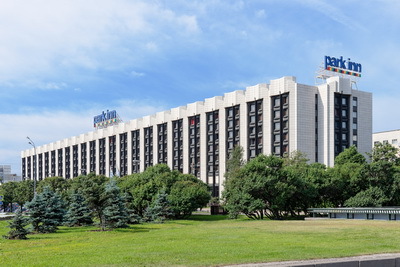 We made up a list of seven hotels near Pulkovo airport. The first and foremost thing you should know about the airport is that it’s located near the city or, to put it more accurate, in the city. Travel time from Pulkovo to the nearest Moskovskaya subway station by public transport is just 30-35 minutes (by taxi 15 minutes), to the city center is 50 minutes. Another important note is that a capsule hotel, Aerosleep, was opened in the first floor of the Pulkovo terminal in December 2018. It operates 13 pods equipped with TV, king sized bed, free Wi Fi and other amenities typical for a hotel of this kind. So staying at the Pulkovo airport hotels makes sense when you have just a few hours for your layover in Saint Petersburg. For an overnight stay we’d choose accommodation in the center to be able to enjoy night walks through the downtown and capture the atmosphere. There is one more reason to do so. 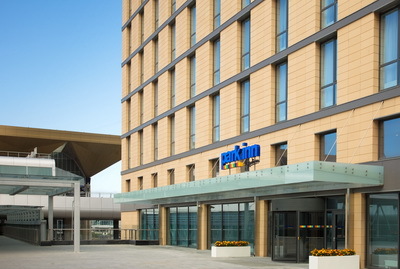 Only one hotel can be reached from Pulkovo on foot, Park Inn (besides the capsule hotel, of course); getting to others requires transport, sometimes with stopover and changing to another route. So what’s the sense in choosing a hotel near Pulkovo instead of staying at the center if you need to get your luggage transported and are going to visit the city anyway? 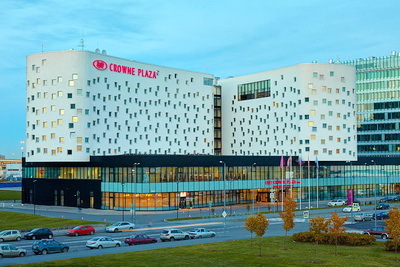 OK, when you have big luggage and cannot afford taxi from Pulkovo to the center, then it’s really advisable to drop bags at a hotel nearby to make life easier (in this case Park Inn Pukovo seems to be the choice number one). Airport’s transfer by shuttle from Pulkovo to all hotels nearby like that’s organized in many airports is not provided. Some hotels have their own shuttles. If it’s not your case you’ll have to use public transport or taxi. Transfer to Pulkovo: none due to proximity. St. Petersburg Travel Guide’s Tips. The best option when you have a few hours and don’t want to go and see the city or you want and have to get back quickly or your luggage is enormous and you don’t want to pay for taxi. — are a fan of Russian President Vladimir Putin who takes part in annual St. Petersburg international economic forum which is held at the ExpoForum. By the way, this year the forum is held on May 31 — June 4, and the hotel published an warning that all the guests «must be accredited to get on the territory of ExpoForum» during the event. Not a news we’d like to hear during a short visit to the city. Let alone the fact that the highway (the only road to get to the hotel) will be overcrowded by security forces. Though the forum lasts only four days and the bad location is compensated by shuttle service. 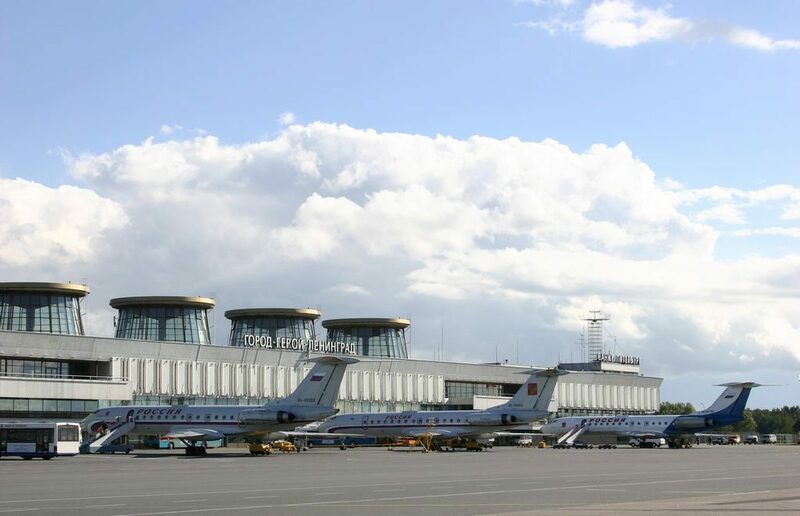 Transfer to Pulkovo: there is a shuttle service to Moskovskaya subway station and Pulkovo airport. Departure every hour. St. Petersburg Travel Guide’s Tips. The hotel’s website, following its brother and neighbor Hilton, claims that the location is superb. Well, we doubt. It’s near to the city of Pushkin and Pulkovo, but getting from airport is good only by hotel’s transfer or by taxi. Public transportation here requires at least one very inconvenient change. Claim by hotel about the proximity to the Peterhof fountains raises our eyebrows. Important note: The both Hiltons are located outside the city, we’d say, in the field. No any shopping or entertainment infrastructure within walking distance, only noisy and busy highway between St. Petersburg and town of Pushkin intensively contributing to the global carbon footprint. Address: 1, Ploshad Pobedy (Victory Square), about 700 meters from Moskovskaya subway station. St. Petersburg Travel Guide’s Tips. The hotel is easily reachable by the shuttle or public transport (bus №39, minu-bus K-39) without any changes. Getting to the city center is easy by subway or buses. The best option if you have a one night stay in St. Petersburg and your flight is scheduled next morning. For example, you check in, leave your luggage, hang out in the downtown and next morning go to the airport. 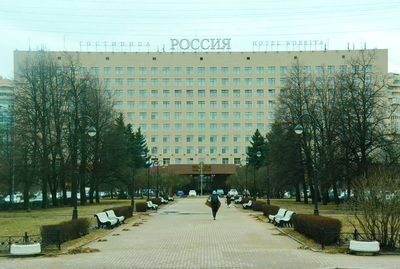 The hotel is an old Soviet building and has been run by Park Inn for a few last years. Discussions on TripAdvisor show that some old Soviet flaws are still in place. St. Petersburg Travel Guide’s Tips. 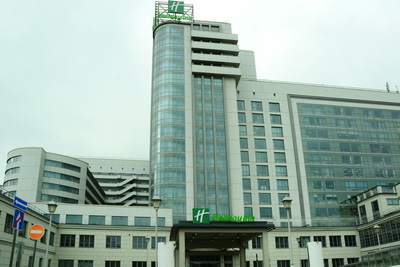 The hotel is located in the city, about 11 km from Pulkovo. Strictly speaking, that’s not an airport hotel, but fits your needs if you look for accommodation within a 40 minute ride (25 minutes by taxi). Getting here is not easy as one bus change is required, so hailing taxi is a better option. Just like in case of Park Inn Pulkovskaya, it’s good for an overnight stay when you want to see the city and fly next morning. The hotel is cheap, but obviously needs renovating as still contains Soviet style elements of infrastructure and furniture. St. Petersburg Travel Guide’s Tips. 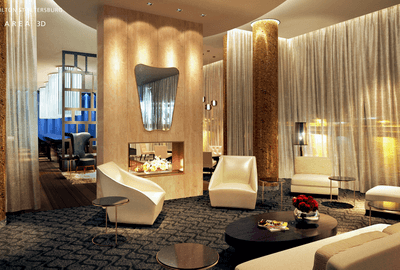 This is the best congress hotel in the city with biggest seating capacity. This fact might be of little concern to you, we just want to say that the hotel is good at serving business travelers. What differs it from all other hotels from our list is that it’s located a 4 minute walk away from a subway station (Moskovskye vorota). Transfer to Pulkovo: available, also to Moskovskaya subway station and ExpoForum center every 30 minutes. That’s the best transfer among Pulkovo airport hotels. St. Petersburg Travel Guide’s Tips. It’s maybe the most sophisticated hotel after the Hilton. Nice choice if you have business in this area and don’t want to see the city, but a bit inconveniently located if you are going to use public transport and don’t like to be curbed by the shuttle service’s schedule. P.S. Read also our article about real taxi fare from Pulkovo.